To avoid any controversy on the criteria for the Arjuna award, the Sports Ministry on Friday granted 90 per cent weightage to medal winners at various international championships and sports disciplines covered in the Olympics (Summer, Winter and Paralympics), Asian Games and Commonwealth Games. The guidelines, released by the Ministry of Youth Affairs and Sports, will be applicable from 2014. Winners of medals in the Olympics and Paralympics will automatically be considered for the Rajiv Gandhi Khel Ratna or Arjuna award, depending on the type of medal won, if they haven’t already been conferred either of the two honours. After the Olympics, maximum weightage will be given to World Championship/World Cup (once in four years), followed by Asian Games and Commonwealth Games, a statement from the ministry added. While 90 marks will be given to sportspersons getting maximum points in the World Championship/World Cup, other sportspersons will be given marks proportionately to that athlete. Meanwhile, 10 per cent weightage will be given to marks awarded by the selection committee for assessment of the eligible sportspersons keeping in view factors like profile and standard of the sports events in which he or she won medals and qualities like leadership, sportsmanship, team spirit, fair play, sense of discipline. The statement also clarified that adequate representation would be insured for the physically challenged and women. For cricket and indigenous games, not included in the Olympics, Asian Games or Commonwealth Games, the selection committee will recommend the number of awards (not exceeding two) to be given, besides recommending the sportspersons after taking into consideration their individual performances and qualities of sportsman spirit, leadership, sense of discipline etc. 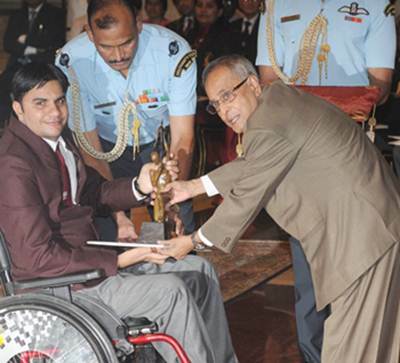 While not more than one award will be given in each discipline in a particular year, the principle of one award per discipline will not be applicable in case of team sports and across gender, which means that the selection committee may recommend, in deserving cases with proper justification, more than one sportsperson in respect of team sports and sportspersons of both the genders. Normally not more than 15 awards could be given in any calendar year. However, keeping in view the performance of athletes in the Commonwealth, Asian Games and Olympics during a particular year, the selection committee could recommend more sportspersons for Arjuna award. In a particular discipline, names of not more than four sportspersons (two men and two women) with the highest marks will be considered by the selection committee. The selection committee will recommend the final list of sportspersons for the Arjuna award as per the marks obtained. If the selection committee feel that as per the given criteria, a very deserving sportsperson may not get the Arjuna award, in such a scenario it might recommend such name giving full justification in writing and then place that along with other recommendations before the Union Minister of Youth Affairs & Sports for the final decision. Stunning Pix: From the Rockies to Kangchenjunga and beyond!